Is your name Will Smith? If so, Netflix, and the star of such movies as Independence Day and Suicide Squad, Will Smith, needs your help to promote their upcoming movie, Bright. That's right, apparently, the actor Will Smith is far too busy to handle the busy press schedule for Bright and he is in need of some other people with his same name to help fill in for him. At this point, we have more questions than answers, but this is a very real thing that is really happening. Netflix recently released a video via their official Twitter account featuring Will Smith, who stars in Bright alongside Joel Edgerton. The video features Smith discussing the busy schedule Netflix has him on to promote the movie and, since he's a busy guy, he apparently can't do it all himself. So, he's requesting that anyone named Will Smith reach out to Netflix so they can help. How they're going to be utilized isn't yet clear, but Netflix is getting pretty creative with their marketing for this one. "Is your name Will Smith? Please see below for an urgent message." The comments section for the video was flooded with responses from people who are eager to get in on the action. The top tweet, as of this writing, is from a man named "William Smith," which could easily be shortened to Will Smith. There's also, quite interestingly, a woman claiming that her mother's maiden name is "Wilhelmina Smith." So every possible variation of the name Will Smith is being thrown around to try and get in on whatever it is Netflix has planned. Netflix has been pouring money into their original programming as of late, but Bright is something particularly noteworthy. The movie, written by Max Landis (Chronicle) was the subject of a bidding war between several studios, with Netflix coming out on top. The sci-fi/fantasy flick comes with a reported price tag of $90 million and reteams Will Smith with his Suicide Squad director, David Ayer. If this were anyone other than Netflix, it would be positioned as a huge blockbuster. But Netflix doesn't rely on box office for their movies. 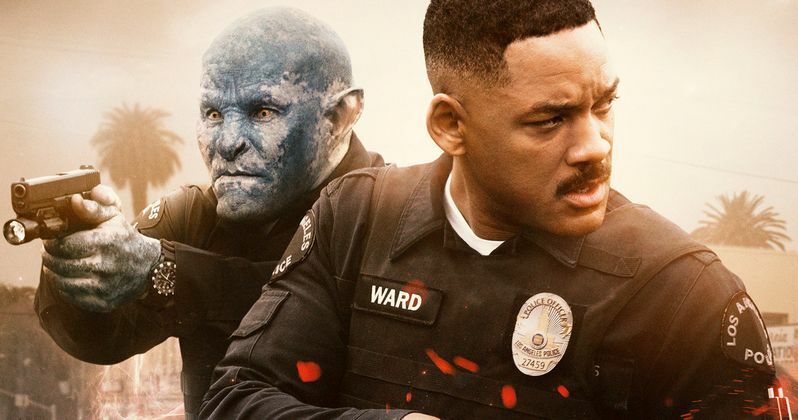 Even though Netflix doesn't need people to shell out money at a movie theater to see Bright, which arrives on December 22, they definitely need people to stream it and subscribe. As such, they're going to need to promote the hell out of it to justify that hefty price tag. Will Smith is an absolute PR machine on his own. Imagine what Netflix can accomplish with an army of Will Smiths. We'll have to wait and see what they cook up, but this could be a lot of fun. Be sure to check out the video, courtesy of the Netflix Twitter account, for yourself below.